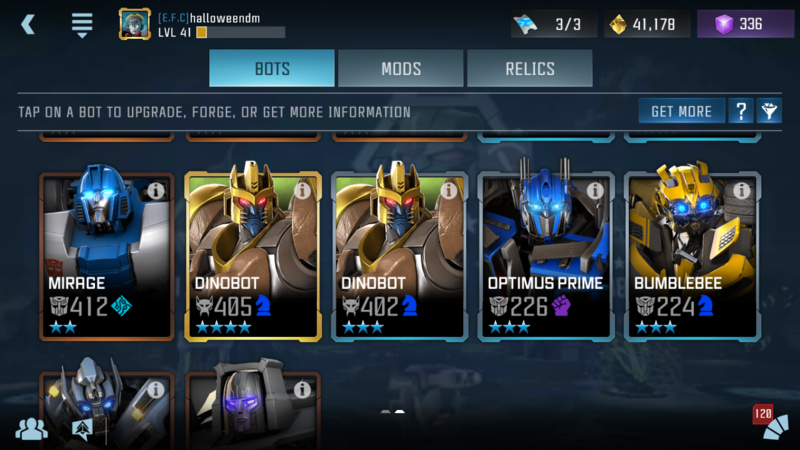 ...and hit the jackpot--4* Dinobot! Three 4* in 9 crystals over 8 hours seems like a record or something! Anyone else getting lucky with the Dinobot crystals? They must like you, I am getting 2* exclusively. 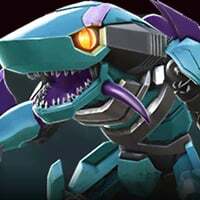 Yeah i opened 17 crystals all dinobot features got 2 3* all the rest are 2*! My own fault though I know better! Kabams crystal droprate is a joke! This guy up here that created this joke of a thread is probably employed by them in their marketing dept. Like me? Employed by them? Lol! They're ready to ban me from posting on here because my comments can turn into "negativity black holes" or something and no one is grown up enough to respond in an adult like manner! In fact my post before this was about disagreeing with making Dinobot a Tactician instead of maybe a Warrior or something. I've never had any luck like this with crystals, and probably won't after this. I've never heard of anyone having this kind of luck. So, don't try to crap on me just because you're sore from only getting 2* and a couple of 3*. And if this is a joke of a thread, why are you commenting? Someone could buy you a Lamborghini and you'd probably **** about the color! Big grats man. That's some great luck. I only pick up 1 featured per release because been burned too many times so no luck for me. However, having just pulled a 4* Soundwave from PBC this morning, I know my luck just bottomed out for the next couple of months. I'll pray to RNGesus that you don't end up the same. Again, awesome pulls. Lucky person.... i never pulled anything good form pbc i only got 2*s and a couple 3*s. Anyhow, Congrats dude! Yeah, I'm kinda thinking that too. Maybe not though. 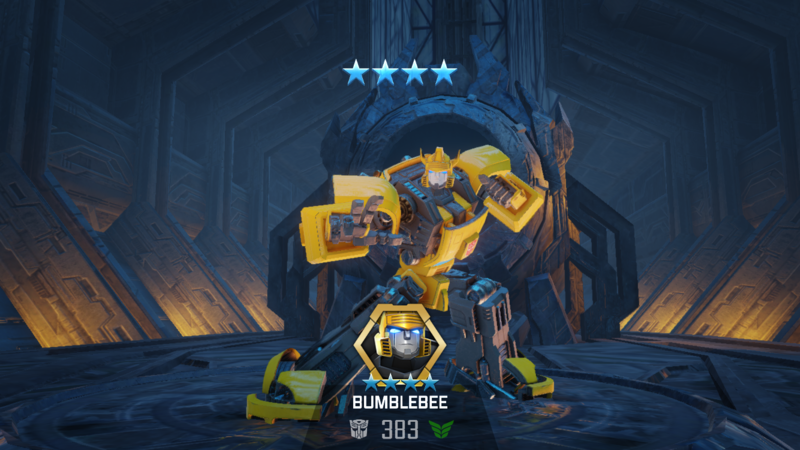 According to my son, I have fantastic luck pulling 3* bots. Thanks everyone for the congrats. I'm loving the Dinobot play. 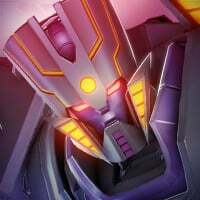 He's fun like Galvatron, and I love Dinobot's Heavy. It may not be the best thing, but its funny as hell to watch! Like me? Employed by them? Lol! They're ready to ban me from posting on here because my comments can turn into "negativity black holes" or something and no one is grown up enough to respond in an adult like manner!...And if this is a joke of a thread, why are you commenting? Someone could buy you a Lamborghini and you'd probably **** about the color! Wow! My above post was flagged as spam?! So...me responding to someone who insults me--and on the same discussion that I started--is spam?! That's about as close to spam as a 20 piece bucket of KFC! Maybe its just a moderator who doesn't like my post. Maybe Vindictive was just sore because of his bad luck with the crystals. In either case, address it directly with me and don't hide behind a flag button. Me commenting on a discussion STARTED by me isn't spam, and it wasn't abuse either. Maybe I'm mistaken, but I thought forums were for discussing things, not flagging someone just because you don't like or agree with what they say. If you don't like the discussion, then stay out of it. Flagging for no valid reason is the online equivalent of "swatting" someone. Lol! And it was flagged as 'abuse'! In what way? Who was abused? Whose feelings were hurt? If I attach a pic of a Barbie doll, could the abuser point at the doll where they were abused? Hahaha! I wish you luck with that. I was excited to get my Ironhide duped. Awesome luck snaring 4* Bee. Congrats! And now my post about who was abused by me is flagged for abuse?! I'm starting to think someone diagnosed with Thin Skin Disorder is stalking me. Whoever you are, go the hell away! You're not actually abused if I don't do the abusing--and if I were in the abusing mood, you'd know it! If you "feel" abused, that's on you, whoever you are. I'm not responsible for your feelings, or your inability to deal with them maturely. And if you feel like you're suffering abuse by being here--stop coming to this discussion and then don't come to any of my other discussions I start--simple as that! Problem solved. You're welcome. Have a good day. Buh-bye! Sheesh! Now I'm starting to feel abused just for being regularly reported for being abusive.